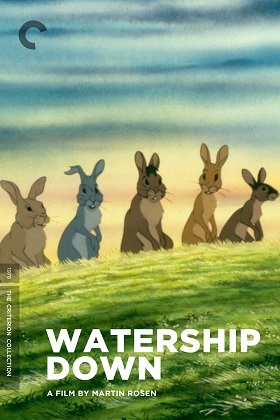 If this does make Watership Down part of the Criterion Collection, it would be only the third animated feature in the collection, after Fantastic Mr. Fox and the no longer available Akira. The movie is an adaptation of Richard Adams' bestselling novel; it's main competition was in the bestsellers list was Peter Benchley's Jaws, which it beat, despite being about rabbits. Though both novels were later adapted to movies, they didn't directly compete at the box office, which is probably a good thing for Watership Down. It was directed by Martin Rosen, who went on to direct a second Adams adaptation, The Plague Dogs. It features the voice of John Hurt as Hazel. Hurt is probably best known for his memorable role in Alien as the ill-fated Kane, though he recently played the 8 1/2 incarnation of the titular character in the long running BBC series Doctor Who as the "War Doctor." The rabbits of Watership Down speak their own language, words of which have been known to be repurposed by furries. The Criterion Collection has been around since 1984, making 2014 the thirtieth anniversary for the film collection that all but invented the modern idea of DVD bonuses. During those three decades, as the collection added "important classic and contemporary films," they included a single animated feature, despite releasing nearly 700 movies on Laserdisc, DVD and Blu-Ray. That changes with the movie with 700 on the movie case's spine in the collection, which will be released Feb. 18. Wes Anderson's adaptation of Roald Dahl's Fantastic Mr. Fox becomes the second animated feature to join the prestigious collection. 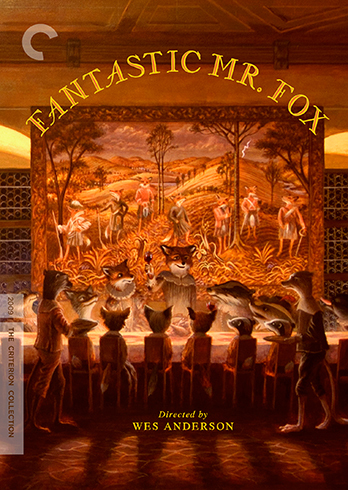 Correction: The original headline implied Fantastic Mr. Fox was the first animated feature in the collection. The Criterion Collection released an out of print Akira Laserdisc, making Fantastic Mr. Fox the second animated feature in the collection. Sorry for the error.